HomeTagsPosts tagged with "Dua Lipa"
Ireland isn't exactly the hotspot for musical talent to visit during the summer, but recently we've been acquiring some absolutely MAJOR acts from around the world. Some of us may remember the days of Oxygen (Rest in Pieces), but Electric Picnic has taken over as the biggest and most popular festival in the Irish calendar. 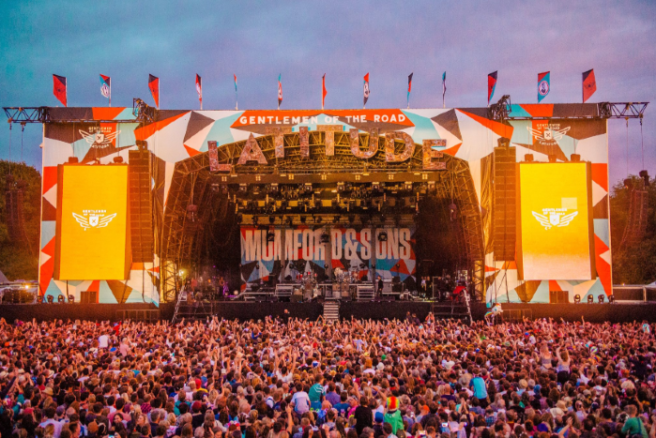 Longitude appears to have become the most 'hip-hop' festival in town overnight, who saw that one coming? All the young ones adore it, hence why artists such as Chance the Rapper, Future and AS$P Rocky are headlining it this year. Luckily for you, we've decided to do a round-up of EVERYTHING there is to know of 2019's Irish music festivals. Strap yourselves in, get your raincoat and wellies ready, it's looking like a muddy ride. God knows why we all live for summer's music gigs, most of us have had our stuff stolen, our tents destroyed and our dignity abandoned, yet we still come crawling back for more. Must be our dedication to the art, or something? Things have been pretty hush hush this year in Castlepalooza-land. So far, no headline acts have been announced and even the early bird tickets aren't on sale yet. As far as speculation goes, they normally stick to Irish acts such as AllTvvins and The Rubberbandits, so maybe they'll get Dermot Kennedy or Picture This? We're assuming it's still taking place in Charleville Castle, Tullamore, but they've changed the dates so who knows. All will be revealed. 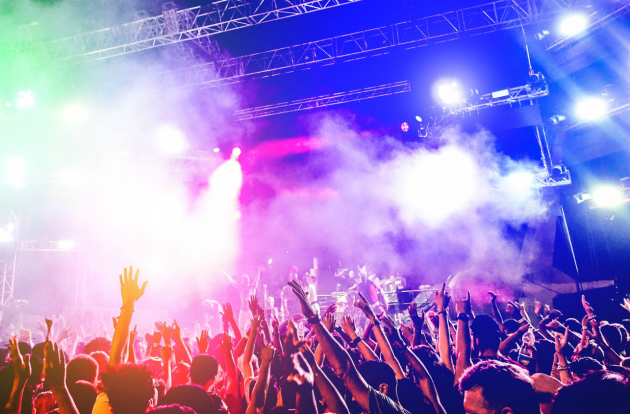 For #Life19, some major dance players have been given the green light to DJ, including Giggs, Bicep, MK, Nina Kraviz and CamelPhat. Think District 8 but in the woodlands. The festival is returning to Belvedere House in County Westmeath for a weekend of phenomenal tunes. There are three days, six stages and a jam-packed line-up. Chill by the lakeside stage for a more relaxed vibe, or hit the District 8 tent and Main Stage for absolute dance mania. Known as the last real festival for camper vans and 'legit' music lover families, Vantastival is relatively unknown in some circles but a must-see in others. Taking place in Drogheda, Co. Louth, the festival boasts comedy shows, craft beer, art installations and a kids' camp for families. The festival gets some unbelievable talent up to play, and the headline acts this year have already been announced. King Kong Company, David Keenan, Cry Monster Cry, Just Mustard and I'd Fight Gandhi are all hitting the stages this year, it's gonna be a BIG one for their 10th anniversary. Forbidden Fruit has been a steadily growing Irish festival for years, with some well-known as well as emerging talent performing DJ sets in the Irish Museum of Modern Art, Kilmainham. Headliners this year are Mura Masa (INCREDIBLE), Skepta, Elbow, First Aid Kit and Danny Brown. They're spreading out the genres this year, bringing in some new and more alternative names. Tickets went on-sale back in December, but there are still a few left. We recommend grabbing them before they're gone. The arts festival takes place in Ballinlough, Co. Westmeath, and it's celebrating it's 10th run this year. Previous headliners include Nick Cave, but they have yet to tease 2019's fixtures. It's a cesspit for creative minds, branding itself as the biggest 'independent' festival in Ireland. They're announcing the line-up very soon, so stay tuned. We're guessing perhaps Christine and the Queens? Sea Sessions is well on the rise. The festival is specifically for surfers, and takes place in Bundoran, Co. Donegal for those sea lovers every year. They've got a STELLAR line-up for 2019: Sigrid (I cried when I saw her, not gonna lie), Clean Bandit and Two Door Cinema Club are the star acts who will blaze up that stage. This one looks set to be an incredible year, especially if the weather holds up. Tickets are on sale now, but it sells out every year so get on it ASAP. They've just announced some massive names to the chart: Cardi B and Anne-Marie are two unreal additions. Delighted to announce CARDI B as the final headliner to this years #Longitude2019 lineup! @AnneMarie & many more additions below! The festival is running from Friday July 5 until Sunday July 7 in Marlay Park, and always gets some pure stunning weather (for once). The line-ups have DRASTICALLY changed even since 2017, when Mumford & Sons took centre stage. It's all about those rap stars nowadays, who would have thought Irish people would crave the genre so much? Maybe it's just the young wans. Tickets are back on sale this Friday, February 1 at 9am. Get ready for online mayhem, as Cardi B is sure to attract thousands of eager fans. The festival takes place in Curraghmore House in County Waterford during the August Bank Holiday, so it's always a sure-fire hit. American indie band The National are the headliners for this year's take; previous performers include Fleet Foxes, Mura Masa, Villagers and First Aid Kit. Most of the tickets have already sold-out for this year's festival, but there's always DoneDeal? Camper van tickets are also still available, but not much else except the higher priced ones. So E.P. is ALREADY sold-out, as predicted. The speculation has begun, seeing as nobody is aware of the line-up as of yet, and we're gonna go ahead and pray that our home-girl ARIANA GRANDE hits the Main Stage. Get your rosary beads out. Last year saw N.E.R.D, Kendrick Lamar and The Prodigy hit the stage as headliners, and Sigrid and Dua Lipa absolutely smashed it during their performances. We'd love to see those gals return with new albums under their belts. There you are, gals. The ULTIMATE Irish music festival round-up for 2019…so far. We're tingling with excitement already at the thought of sneaking in all those naggins/cans/wine bottles/shoulders/litres/whatever the kids drink nowadays. Now all we need is the funds to afford any/all of these amazing gigs. Maybe we could sneak in? Dua Lipa has been dominating the charts ever since her break-out in 2017. Now, she has been honoured by having one of her smash hits performed as Gaelige. The cover was uploaded to YouTube via the TG Lurgan channel and it's an absolute bop. Hats off to Rachel who totally owned the vocals and gave us chills throughout the three-minute video. TG Lurgan went all out with a cracker of a music video too. The YouTube channel has been making waves with the artists they cover since 2013. Six years ago, they covered a tune by Avicii and the late DJ shared it with his followers praising their musical ability. 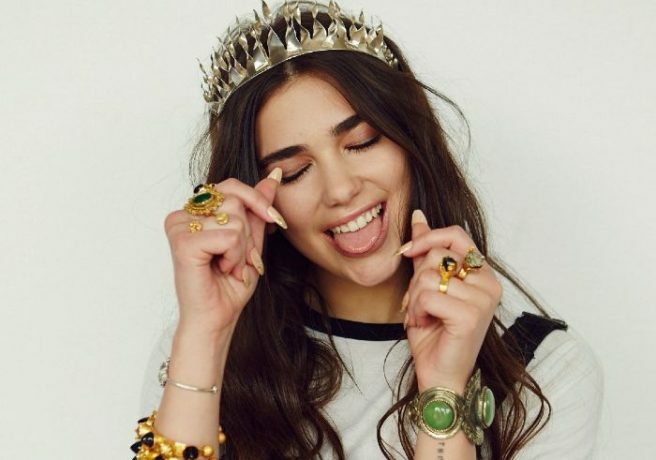 Check out this Dua Lipa masterpiece as Gaelige below – you won't be disappointed. Dua Lipa is hitting out against the gender double standards that exist in the music industry and wider society. The New Rules singer expressed in an interview that she feels female artists are not taken seriously in the same way male artists are. 'For a female artist, it takes a lot more to be taken seriously if you're not sat down at a piano or with a guitar, you know?' she recently told British GQ. 'You know, even from school, growing up with kiss chase or whatever, it's been ingrained in our heads that boys will be boys and its harmless fun and no big deal and to brush things off,' she told the mag. Hear hear, Dua, hear hear. Dua Lipa has taken to Twitter following backlash over her use of the n-word in a cover she performed of Mila J’s Smoke, Drink, Break-Up in 2014. While the British singer sought to muffle the word, the star admitted she should never have used it in the first place. 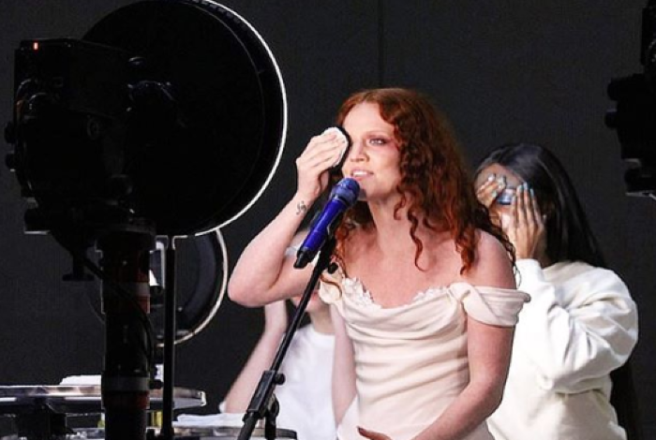 In a message which was posted to Twitter shortly after midnight, the singer insisted that she hadn't given the potential repercussions enough consideration before using the word. "In relation to my 2014 cover I never meant to offend or upset anyone," she began in the post which has been liked more than 29,000 times so far. In relation to my 2014 cover I never meant to offend or upset anyone. I didnt say the full word but I can admit I shouldnt have gone there at all and that a different word could’ve been recorded altogether to avoid offence and confusion. I wasn’t thinking it through at the time. 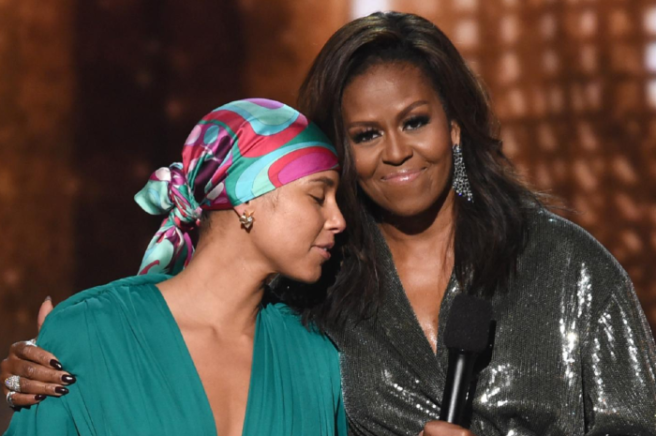 "I didnt say the full word but I can admit I shouldn't have gone there at all and that a different word could’ve been recorded altogether to avoid offence and confusion.I wasn’t thinking it through at the time," she wrote. The singer's message was met with a mixed response from social media users, with some insisting Dua should move on following her apology while others demanded she take more responsibility. "19 is a pretty young age and she apologized, something that real racist ppl will never do," wrote one while another countered: "Seemingly all you need to do to earn respect is to do racist things and then apologise." Many fans and followers argued that the public were keen to drag past mistakes into the present, with many advising Dua to move on following her apology. "This has happened so many years ago and you shouldn't penalise yourself for it now just because some people want to make you look problematic which we all know that you are not and we all do know that you would never mean to say anything offensive like on purpose," wrote one Twitter user. Dua Lipa is a complete and utter queen, with her single New Rules topping the Irish charts for weeks, and a pair of sell-out Dublin gigs to her name. 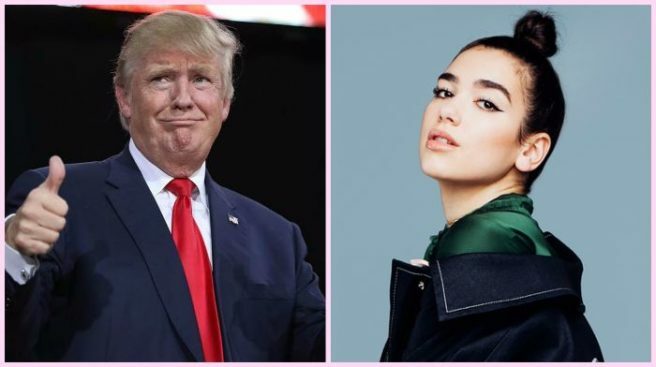 We love to belt out New Rules in the car, at pre-drinks or just in general wherever the mood takes us, but one person we never imagined enjoying Dua's dulcet tones was POTUS Trump. However, YouTube channel Maestro Ziikos has used the power of video editing to give us a taste of exactly what it would be like to be serenaded by Trump singing New Rules. We were in stitches at SHEmazing HQ over this mash up. Dua Lipa has been having a major moment, and has topped the Irish charts for weeks with her hit New Rules. The singer announced one Dublin date in her UK 2018 tour, set for April next year. Tickets for the covetable gig went on sale this morning, and according to dismayed Twitter users, sold out in seconds. The singer even added a second date due to the massive demand, on April 9, which is already sold out too. Tickets for the Olympia Theatre concert were going for a mere €29.40. However, they are now being sold on Ticketmaster's re-sale website, Seatwave, for a whopping price. There are eight tickets available for the Olympia Theatre gig being sold on the site for €570.00 each. Want you and your closest seven mates to enjoy the gig? Prepare to part ways with €5,377.04. Fans are outraged by the massive cost of the re-sale tickets, and are now calling on the musician to notice of the issue. 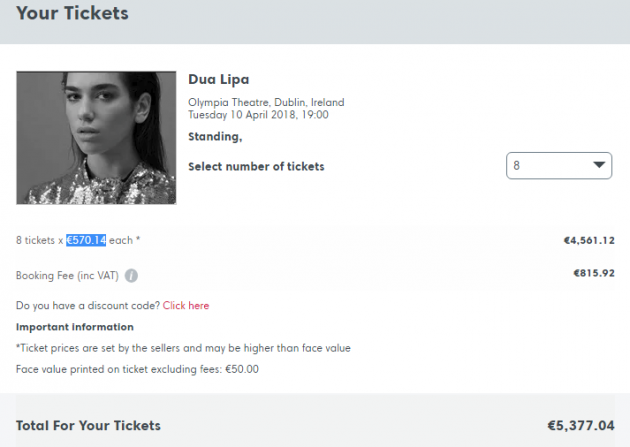 1 Dua Lipa standing ticket being sold by someone who has bought 8, now at €570 a pop. Plus €103 booking fee from Ticketmaster. Sound. If you're a fan of British singer, Dua Lipa, we have some cracking news for you. The Be The One singer will be performing for Irish fans in the Olympia Theatre next April. According to breaking reports, the 22-year-old will take to the Dublin stage on April 10 next year, and tickets go on sale this Friday. Taking to Twitter and Instagram, the singer confirmed the dates, writing:" Tix on sale on Friday. Come see me." If you want a chance to see the woman herself in person, bring your A-game at 9am on Friday when tickets go on sale for just €26.40.